Richard Stephen Solomon, 70, of China Spring, passed away Wednesday, January 31, 2018 at Providence Hospice Place. Visitation will be held Saturday, February 3 from 9 to 11 am at OakCrest Funeral Home. Richard was born October 26, 1947 in Pittsburgh, Pennsylvania to Steve and Helen Solomon. He was a graduate of Knock High School in Saxonburg, Pennsylvania. He served his country in the US Army, stationed at Ft. Hood and also served time in Vietnam. Richard enjoyed the outdoors. He was an avid golfer and he especially loved to camp at Mother Neff Park, where he would volunteer his time maintaining and cleaning the grounds and made lifelong friends in the process. Richard also enjoyed building model cars and was a fan of the older model Corvettes. He loved dogs, bulldogs in particular, and would adopt rescue bulldogs, providing them a stable and loving home. Richard was preceded in death by his parents; step-daughter, Melissa Northrup; and step-son, Clay Leger. 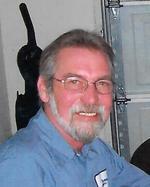 He is survived by his children, Stacy Hill and husband, Jeff, Richard Solomon and wife, Teresa, and Shawn Solomon and wife, Kristina; grandchildren, Chance Hill, Amber Fulton (Justin), Brandi Solomon, Kayla Solomon, Shawn Solomon, Jr., Annalise Solomon, and Michael Morris; great grandchildren, Carter Fulton, Averee Bernard, Chloee Fulton, and Bryson Cox; sisters, Linda Nowakowski and husband, Bob and Joyce Bofinger and husband, Bo; nieces, Kristin, Karen and Vicki; as well as his canine buddy, Ruben. In lieu of flowers, memorial donations may be made to Providence Hospice of Waco. To send flowers to the family of Richard Solomon, please visit our Heartfelt Sympathies Store.